On April 8, 1935, President Roosevelt signed a law creating the Works Progress Administration, or WPA. The WPA was created to create employment opportunities for millions of unemployed Americans and material benefit to communities throughout the country. 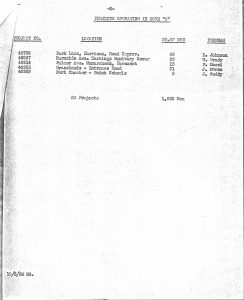 White Plains and Westchester were no exception, with significant public works projects and make-work efforts, where jobs in local agencies were supported by federal funds. 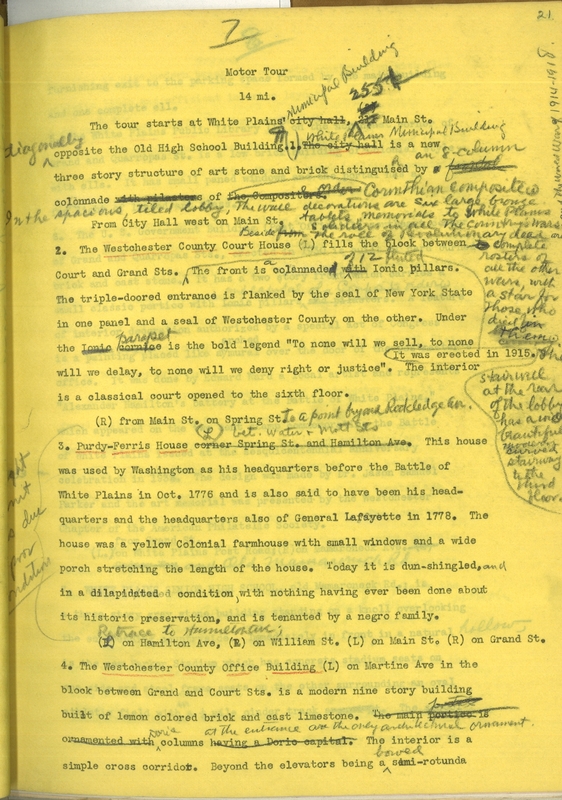 The White Plains Collection contains some examples of the works created through the WPA and a few records that describe projects the federal government supported in Westchester County. 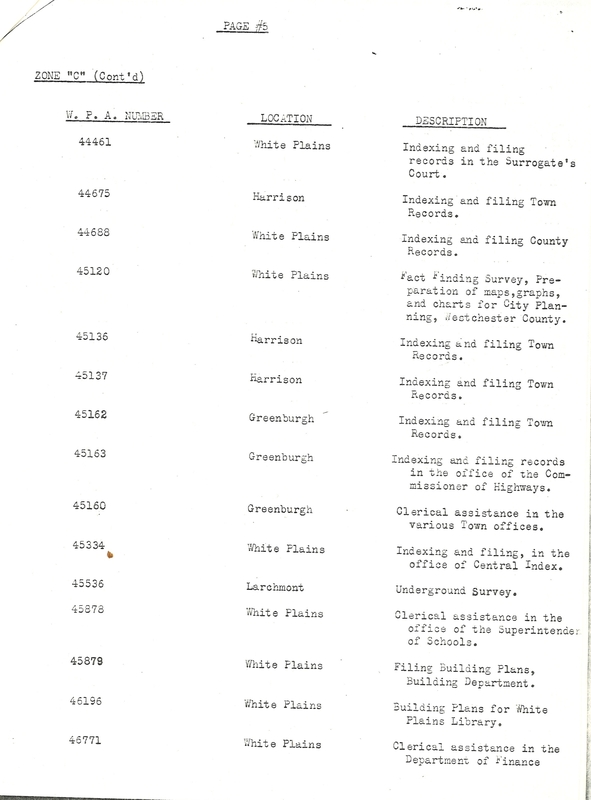 In 1939, the National Muncipal League's Consultant Service completed field work on a “Survey of the Principal Administrative Departments” of the city at the request of the Common Council. 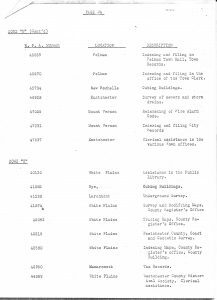 On February 28, 1940, they submitted their report to the council and, at some point after that, a copy found its way to the White Plains Collection. 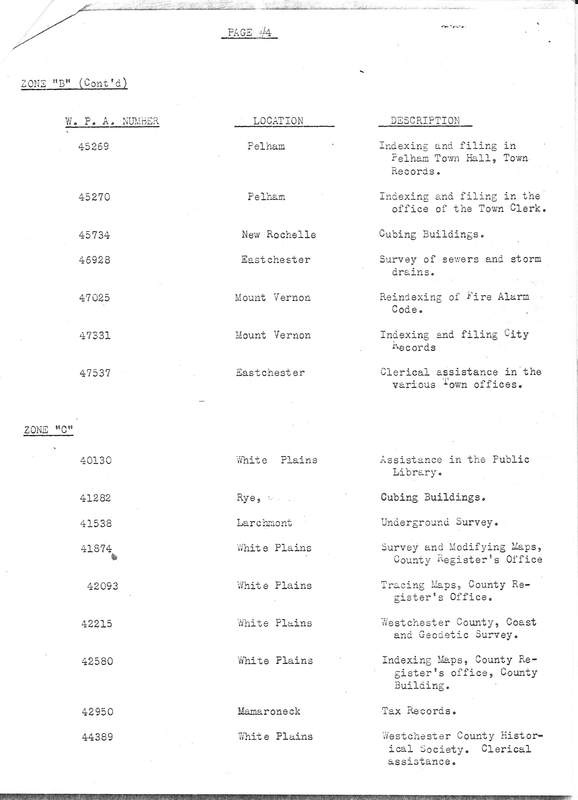 The report includes descriptions of the WPA's impact on White Plains. 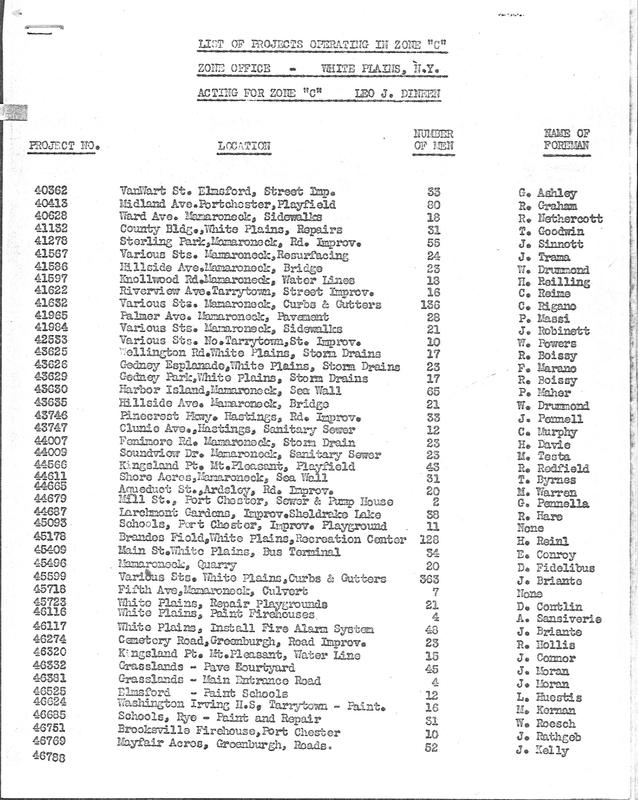 They note that White Plains' “relief problem” was similar to Mount Vernon's and New Rochelle's. 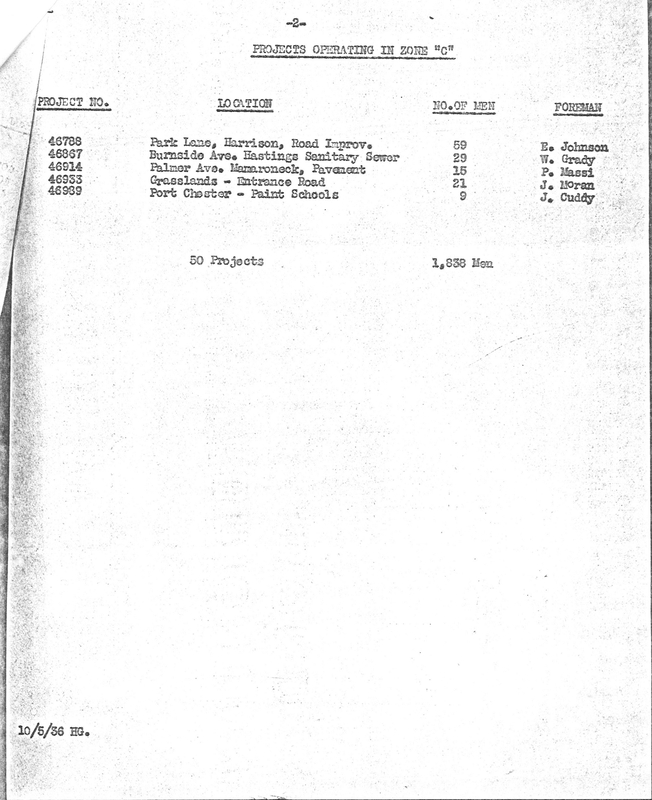 In 1938, the WPA gave the city $436,800.00 to support work relief. 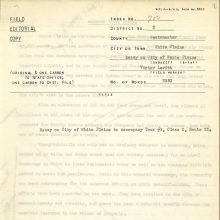 The federal government paid the full wages of all people employed through the WPA, the Civilian Conservation Corps, or the National Youth Administration, but the city was responsible for certifying the eligibility of work relief clients as well as the details of the actual work undertaken. 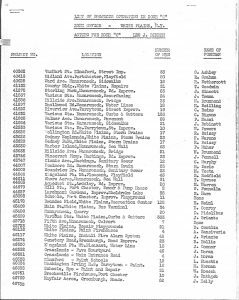 A list of projects funded by the WPA in Westchester County. The only unusual movie theatre in White Plains is the Pix Theatre on Mamaroneck Avenue at Livingstone. It is truly this county's cinema of distinction, being a marvel of scientific development; luxuriously comfortable, and seating just under three hundred people. Its architecture provides for perfect acoustics. It is air-conditioned and has no projection distraction/distortion. Hearing aids are available for the deafened and every seat enables one to sit in a natural posture. Electrical seat indicators eliminates the usher problem. The construction of the Pix must needs, of course, be of a very special type. The true walls are very low, the roof rising above them, on piles, at a point only three feet from the ground. A false wall extends six feet above this point. The concrete floor is laid on transverse abutments–the only excavation is at the rear, for the accomodation [sic] of air conditioning equipment. 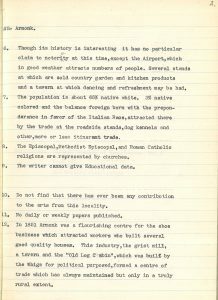 The research done by WPA writers captured valuable historical information as well as their personal impressions. 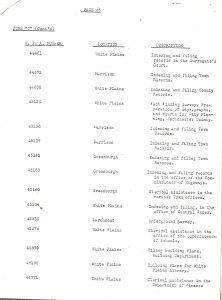 Robert T. Hill, another writer working in White Plains, recorded fares for local buses (5 cents within the city limits) and taxis (35 cents during the day and 50 cents at night to anywhere in the city). Hill noted that the city “as yet has no Subways or Elevated lines,” evincing a generous optimism about development prospects for White Plains. 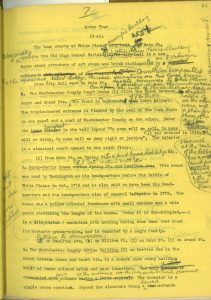 A draft of a WPA essay with editorial comments. 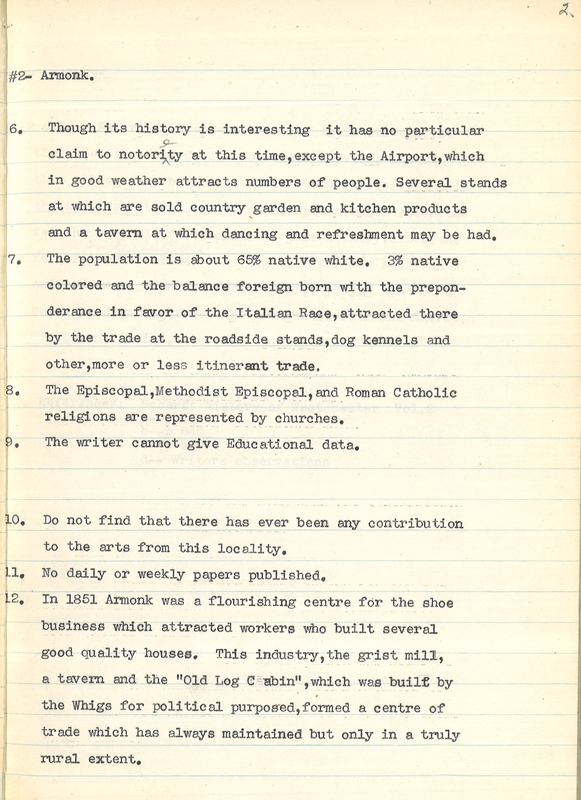 A page of notes for an essay on Armonk that includes some of the writer's judgments. The featured image in the upper left is from the title page of an essay in the WPA collection.